Yesterday Xiaomi Mi Mix 2 was introduced in Spain and now it lands in another European country. The 6 GB RAM + 64 GB storage phone is sold in Netherlands for €599 and could be purchased unlocked by retailer Belsimpel. The phone can also be purchased with a prepaid plan or with a subscription. 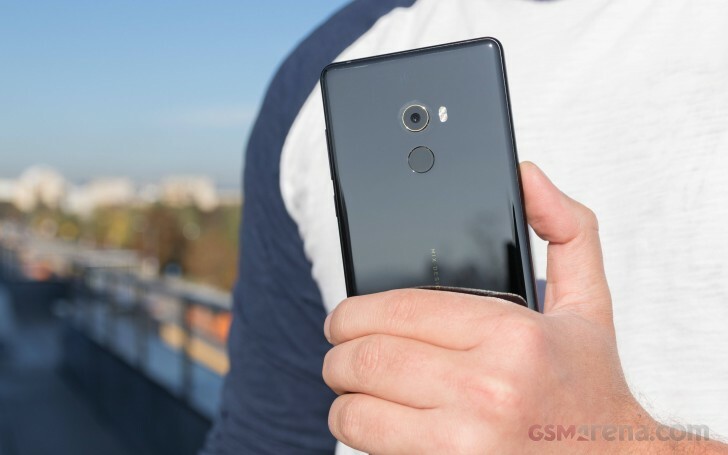 Belsimpel offers deals with all the providers in Netherlands which include purchasing the Mi Mix 2 with a monthly payment plan, instead of paying it all upfront. The delivery takes 2-4 working days. The Xiaomi Mi Mix 2 is the second device available for purchase from the Chinese manufacturer. A month ago the Xiaomi Mi A1 also arrived with a €260 price tag. Thanks for the tip, Clay! Anyone else realised the country's map on the picture is actually both Netherlands and Flanders together? Living in Myanmar as a Dutchy.. Can buy this phone for 420 euros :D yay! This phone surely came and went. What a complete letdown from the predecessor.